The Clinical Services Coordinator is responsible for coordinating all psychological services provided by Weechi-it-te-win Family Services. This position is also instrumental in assisting First Nation Community Care Programs with capacity building for their family counselor and family preservation worker programs. The Clinical Services Coordinator is the primary link and resource for the First Nation Family Counsellor Program. The Clinical Services Coordinator also serves as the single point of access and coordinator for the WFS Crisis Response Team. My name is Lauris Werenko and I was born and raised in Fort Frances, Ontario. I have been employed at Weechi-it-te-win Family Services since 1998 as an Alternative Care Coordinator, Family Counselor, Children’s Mental Health Coordinator, and recently as the Clinical Services Coordinator. I am a graduate of Lakehead University (Honors Bachelor of Psychology), and of Confederation College with diplomas in Social Service Work and Business. 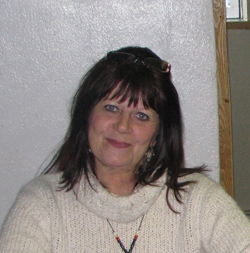 As the Clinical Services Coordinator, I am responsible for coordinating all psychological services provided by Weechi-it-te-win Family Services; assisting First Nation Community Care Programs with capacity building for their Family Counselor Program and Family Preservation Worker Program, and other non-mandated programs. The Clinical Services Coordinator is the primary resource link and resource for the First Nation Family Counselor Program and the Family Preservation Worker Program, and also serves as the single point of access and provides coordination for Weechi-it-te-win’s Crisis Response Services.